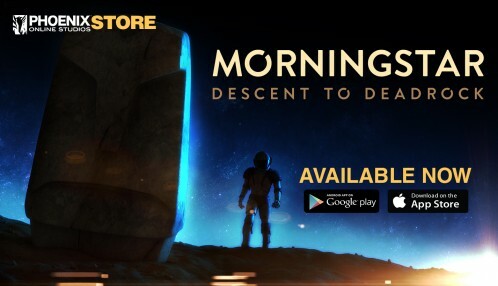 Morningstar: Descent to Deadrock Is Now Available for Mobile Platforms! 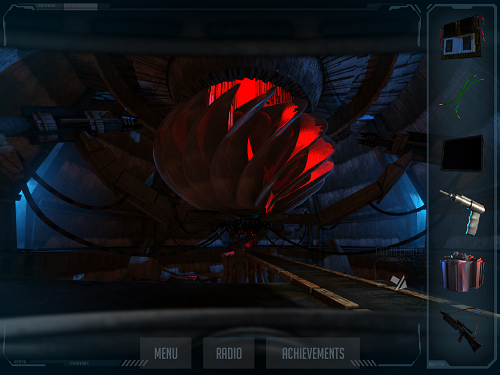 Crash-landed on a desolate, alien planet, gamers will discover that what should have been a routine work-for-hire job for Powell has become a deadly mission to save the merchant vessel Morningstar and her crew. With one man dead and the captain gravely injured, Powell is on his own to repair the ship and find a way to escape the strange gravity well of the empty planet they’ve landed on. 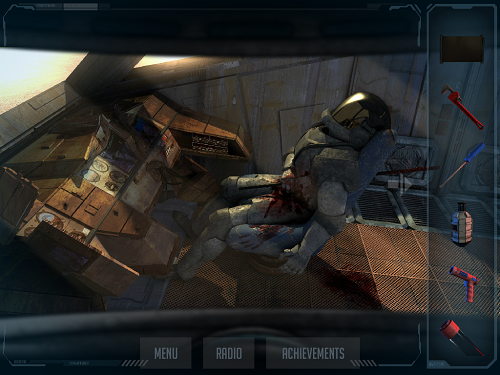 If the situation weren’t dire enough, the only signs of life on the planet are the remains of a much larger and better equipped ship and her crew, all dead, and not by natural means. What—or who—brought down these ships and is killing their crews? Why? And can Powell find a way off-planet before he shares the same fate?